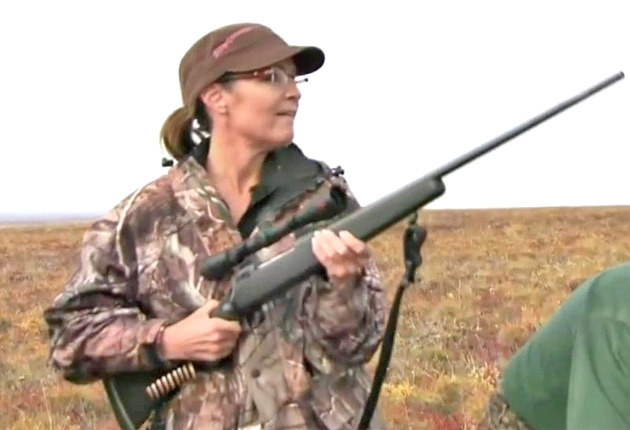 The safest thing Sarah Palin could do now is announce that she's running. Some of the people who obsessed about her and sent her their money over the past three years are not of sound mind. They went to great lengths to prove their love. They threatened anybody who dared say anything against their muse, they forced a judge in Alaska to step up her personal security because of custody proceedings involving a member of Palin's family. People lost jobs or were silenced. 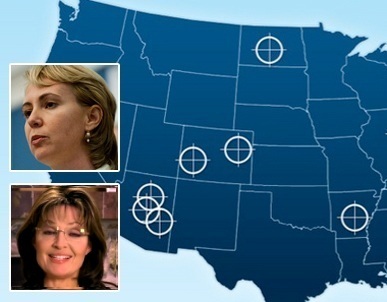 Their rhetoric mirrors Sarah Palin's own. She may have the excuse of speaking metaphorically, but they know no such subtleties. These people believed in her promises and have been giving their all for the last three years, dreaming of her bid for the White House to save America and the world. I believe Sarah Palin is perfectly aware of the obsessive nature of some of her fans. Why would somebody so enthusiastic about the right to bear arms have metal detectors at her own public events? Is she afraid of an attack from a liberal? I don't think so. This kind of violence fits the mentality of her own fans, not the liberals. If she's already concerned about some of these people when they profess their undying love for her, she should be very, very afraid of them when they realize they have been betrayed by her and taken for a ride. 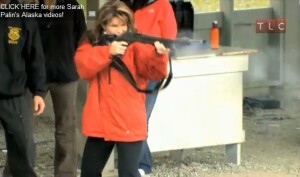 Sarah Palin is between a rock and a hard place, and she is the one who put herself in such an uncomfortable spot. 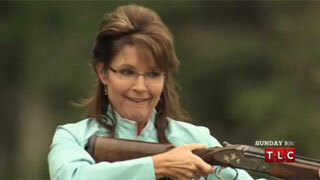 Sarah Palin's wild ride - Liar or idiot? Healthcare for all or let them die? Sarah Palin's contradictions - and more! Sarah Palin - You Betcha! 2012: Are we doing enough?